Hani, Idil, Iyesa, and Kelebet are four of many millions of people facing the devastating reality of hunger across East Africa. As the lean season begins — the summer months between the harvest and planting season — it’s as important as ever to listen to their stories. 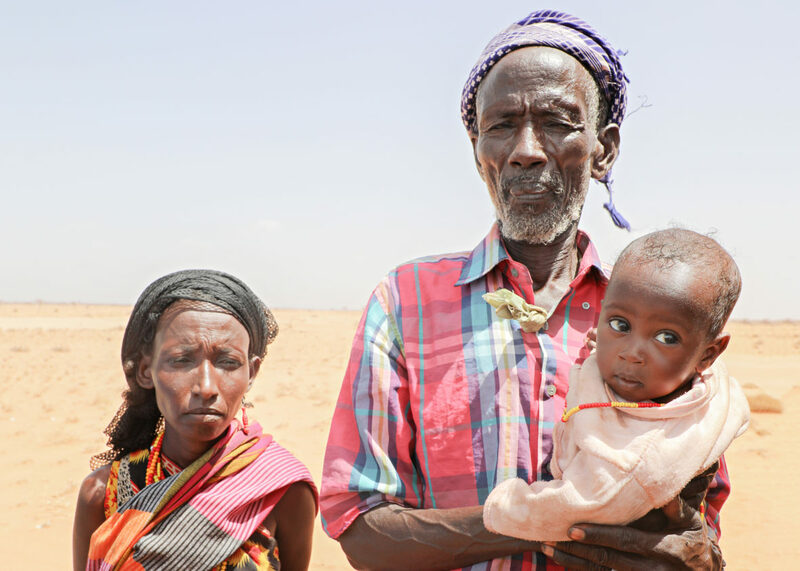 In Somalia, Kenya, and Ethiopia, severe drought is devastating harvests and causing thousands to leave their homes in search of food and water. In South Sudan, more than four years of conflict have caused 1.7 million to flee the county, 100,000 people across the famine threshold, and one million more are on the brink of starvation. In all, more than 16 million people are facing starvation in East Africa. It’s a difficult reality to grasp from afar, so our team traveled to some of the most affected communities to assess the situation in human terms. Here are four individual stories from each of these four countries now facing one of the worst humanitarian crises since 1945. Idil is one of hundreds of thousands struggling to survive in Unity State, South Sudan’s famine zone. Because her family can only manage one meal a day, her son Diric is now malnourished, and has been admitted to an outpatient therapeutic program. 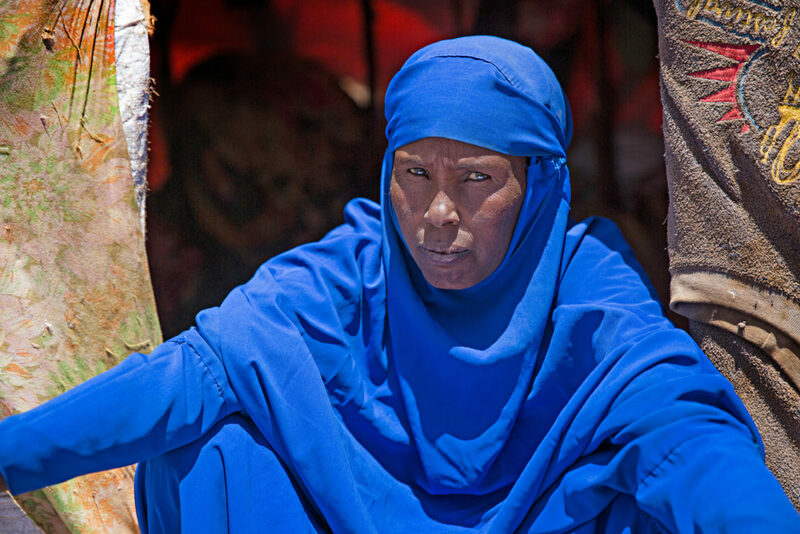 Idil lost everything in the war, when violence swept through her village. Her home, with all of her worldly possessions, was burned to the ground. Pregnant and separated from her husband in the chaos, she grabbed her children and fled into the swamps seeking safety. They survived on water lilies and fish, finally reaching an island where they reunited with Idil’s husband. South Sudan’s famine is a man-made disaster, instigated by a years-long conflict that has caused several hundred thousand people to flee to neighboring countries. Now, up to a million people, like Idil, are at the brink of starvation. Read more about South Sudan’s famine here. For herders in Somaliland, livestock is their livelihood, providing income, food, and valuable assets. 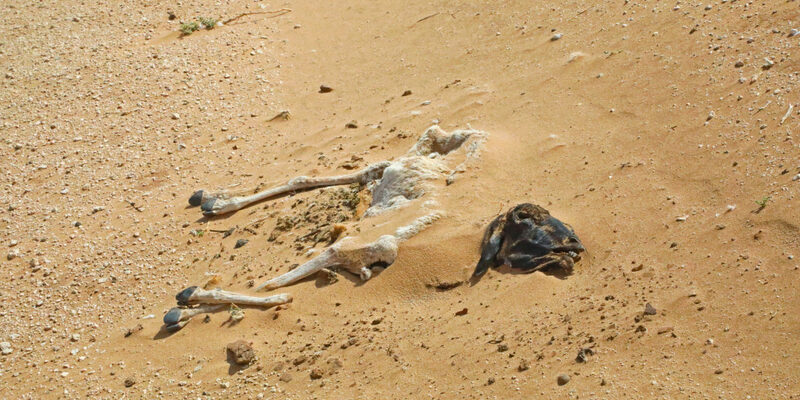 Over the course of a prolonged drought, Hani has watched her animals die in droves. Her family had more than 459 animals, but less than 60 sheep, goats, and camels have survived. Without them, Hani doesn’t know how she’ll survive herself. She is one of many thousands in the region displaced in the search for water and food. It’s a reflection of the wider crisis that extends far beyond borders into Somalia, where 6.2 million people, more than half the country’s population, urgently need food assistance. She will stay in Somaliland until her last animal dies. Devastated by his family’s desperate situation, Hani’s husband hung himself from a tree, leaving the 47-year-old mother of seven completely reliant on the charity of others. Hani says she will stay in Somaliland until her last animal dies. Read more about drought in Somalia here. Kelebet Sisay and her husband have six children and a small plot of land to farm. They rely on the crops they grow to feed their family, but drought has devastated their recent harvests. 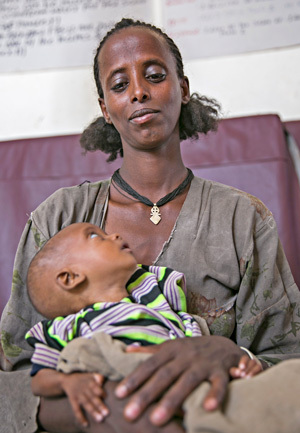 In Ethiopia, 300,000 children under five are being treated for severe malnutrition. It’s a common story in this East African country, where drought brought on by El Niño has ruined several successive seasons of harvests. Still reeling from last year’s drought, Kelebet and millions more are struggling, more than ever, to find food. An estimated 5.6 million people need emergency food assistance, and 300,000 children under five are being treated for severe malnutrition. Read more about the drought in Ethiopia here. Iyesa and his wife, Atho, have a five-month-old son named Adano. After drought caused the family to lose all of their livestock, Atho became severely malnourished, dropping to a weight of only 71 pounds. In Kenya, close to three million people don’t have enough food to eat, and more than 350,000 children and pregnant or breastfeeding mothers are malnourished in Kenya – Atho is just one. “I feel weak and I can’t breastfeed my baby because I have no milk or food,” she says. With no livestock, Iyesa and Atho have no source of income, so they rely on cash transfers from Concern Worldwide to purchase food. Cash transfers are keeping Kenyan families like theirs afloat. Learn more about Kenya’s drought here. SOMALIA: Our experienced team in Somalia has an emergency response underway. We’ve provided over 14,000 families (over 77,000 people) with emergency cash transfers so they can buy the food they desperately need. Every day, we’re providing clean water to tens of thousands of people, as well as two hospitals. We’ve also expanded our emergency nutrition response, reaching almost 3,000 malnourished children and breastfeeding mothers. 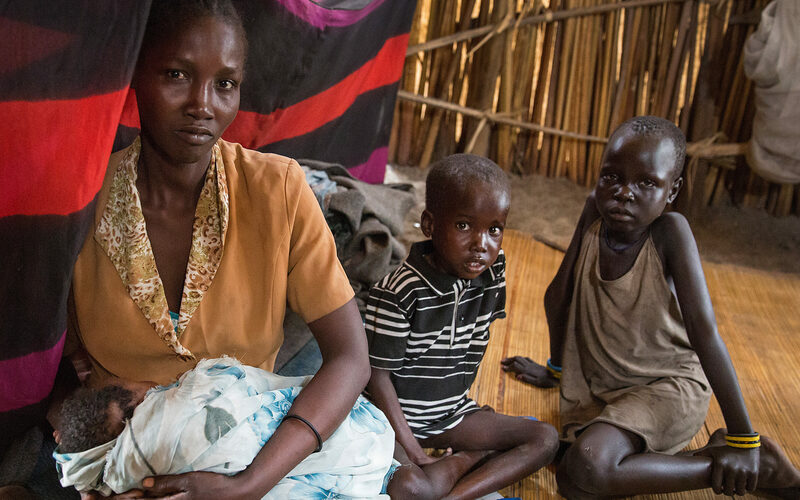 SOUTH SUDAN: Concern is reaching over 400,000 people in South Sudan. We’re operating quarterly food distributions to over 300,000 people, providing clean water and latrines to over 63,000 people, and treating thousands of women and children for malnutrition in 52 clinics across the country— including in areas affected by the famine. ETHIOPIA: We’re working in three regions (Amhara, Tigray, and Afar), supporting the national health system to treat malnourished children. We are also trucking water to people in areas where water sources, like wells and springs, have dried up completely. KENYA: Concern works in Marsabit, a remote county in the north of the country. We have launched an emergency response focusing on cash transfers, access to clean water, and health and nutrition services. *Some names were changed for security.